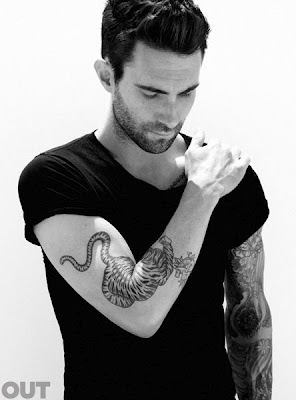 It's funny, because Adam Levine, frontman for Maroon 5, is probably sexier to me clothed than unclothed. But he's got one rockin' bod. And that video for "Makes Me Wonder" where he about humps his guitar while playing? Yowza! Makes me swoon!